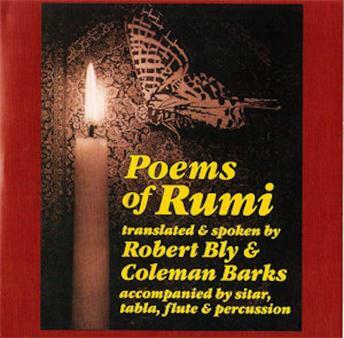 We are delighted to offer this excerpt from The Poems of Rumi as read by Coleman Barks, leading scholar and translator of Rumi poetry, and Robert Bly, poet, author, and leader of the men's movement. Jalaluddin Rumi is a beloved as a spiritual master and one of the greatest poets of all time. the music, although wonderful was way too high in the mix. i found myself listening more to the music than the narration which for me distracted from the great work of Rumi.